To encourage students and young professionals to engage with the transportation industry, TAC hosts and recognizes students during its annual conference. The TAC Conference is a unique opportunity for students to connect and network with more than 750 members, prospective employers, academic and industry experts, and other students. They are invited to attend the conference’s various meetings and sessions to learn about innovative and exciting practices across the transportation industry. Tuesday, October 2 of the conference is themed ‘Student Day’. Throughout the day, targeted activities will challenge and inspire students to develop their skills through informative and interactive sessions, workshops and presentations. It is a full day featuring expert speakers, industry leaders, and panel presentations. Students wishing to attend the other conference meals/social events can do so via the ‘Student B’ registration option, which offers access to those events at cost. Investing in students is investing in the future of transportation and supporting education opportunities for students highlights the priority TAC places on mobilizing talent. 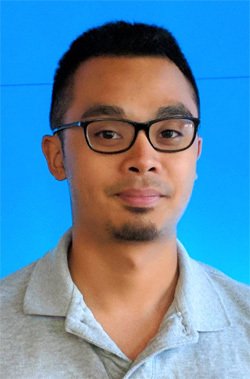 Meet Jeff Pascua, the recipient of the 2018 TAC Student Grant. As our grant recipient, Jeff receives complimentary travel, accommodation and registration to the 2018 TAC Conference & Exhibition in Saskatoon. Jeff is a graduate student completing his Masters of Science in Civil Engineering at Lakehead University. His main research interests are in modeling safety trends of vulnerable road users. He is currently working on his thesis which examines long-term trends in pedestrian injuries from the perspectives of public health and civil engineering. He is the co-founder and former president of the Institute of Transportation Engineers (ITE) Lakehead University student chapter and a member of the Canadian Association of Road Safety Professionals (CARSP) Young Professionals Committee (YPC). After school, Jeff will be working towards earning his professional engineering designation as a Transportation Safety Analyst with True North Safety Group. The TAC Foundation has been awarding scholarships since 2005 – a total of 518 scholarships valuing $2,113,000 – to graduate, undergraduate (university and college) and entrance level in transportation-related disciplines. This year, a total of 24 scholarships valued at $111,000 are being awarded through the Foundation's internally-administered program. Another 5 scholarships were awarded through the partnership with the Norman Esch Foundation to students at the University of Windsor. Congratulations to all the scholarship recipients! (To view the scholarship recipients, visit our website). Thank you to our generous donors who have made this funding possible and for investing in education – the future of transportation.